Are you new to Central? 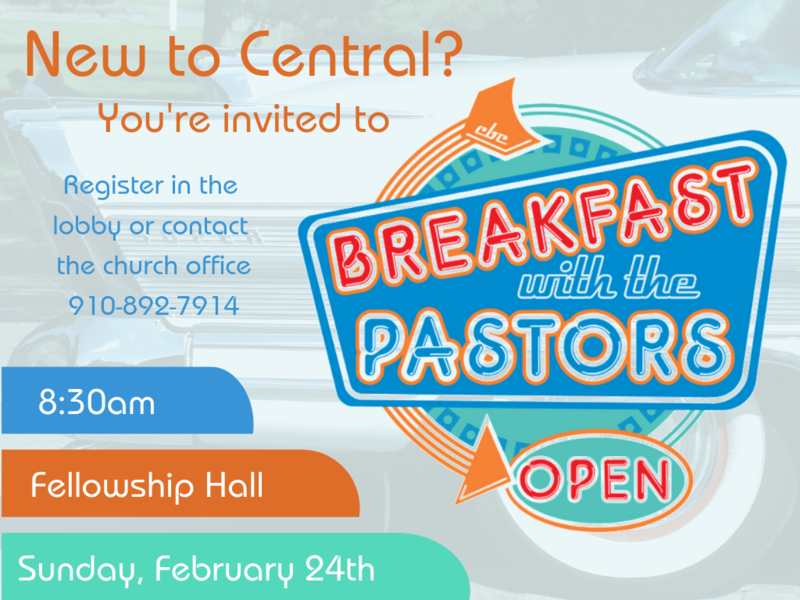 Join our Pastors for this informal gathering in the Fellowship Hall on Sunday, February 24th! Bring your kids with you and they will be dismissed early to go to Sunday School or they can stay with you. Sign up at Grand Central or by calling the church office at 910-892-7914.